Our Fall Workshop will feature internationally renowned watercolor and water media painter Linda Frayne Kemp. This Fall’s Watercolor Workshop will be held at The Kenan Center, 433 Locust Street in Lockport, NY, October 17 – 20, 2017, 9:30 am – 4:00 pm. Please note that this is a 4 day workshop beginning on Tuesday, October 17th! The fee for this workshop is $350 for members and $370 for non-members. The Registration Form for this Workshop can be read and downloaded here. Registration Forms have also been emailed to all NFWS Members, to arrive August 7th, and mailed to NFWS Members who do not have an email address or who have requested a paper copy of the registration forms. Our workshops fill quickly. Don’t hesitate. Complete the Registration Form and mail it with your Workshop Fee to: Betty Stanton, 20 Argyle Park, Buffalo, NY 14222. 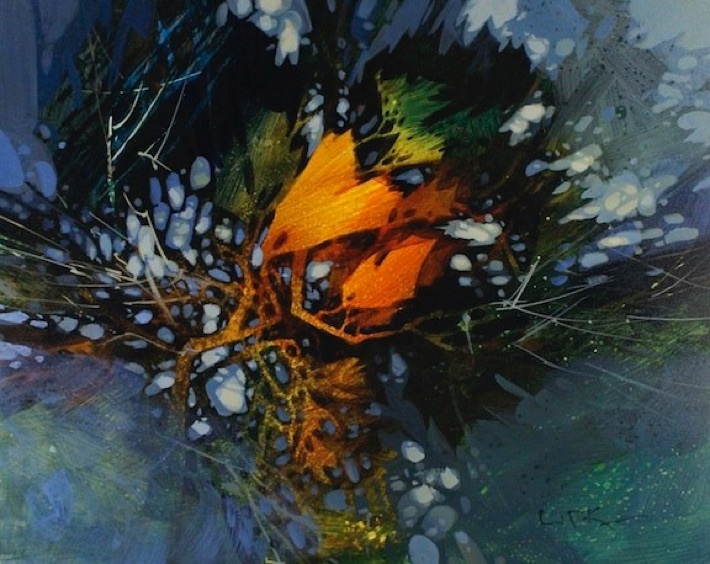 A full time artist, Linda Kemp frequently instructs and lectures at national symposiums and watercolour workshops throughout Canada, The United States and The United Kingdom. She was the recipient of the 2005 Woman of Distinction Award for Arts and Culture and in 2008 received the AJ Casson Medal for Outstanding Achievement in Watercolour, the top award for the Canadian Society of Painters in Watercolour National Juried Exhibition. 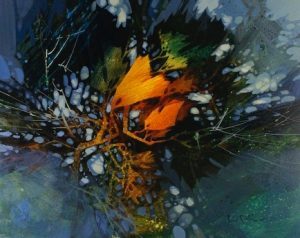 Linda is internationally recognized for her unique contemporary watercolours and innovative use of negative painting. She is the author of two books: Watercolor Painting Outside the Lines – A Positive Approach to Negative Painting and Simplifying Design and Color For Artists – Positive Results Using Negative Painting Techniques (North Light pub.) and four instructional Dvds. Kemp is an elected member of the Canadian Society of Painters in Watercolour, The Ontario Society of Artists and The Society of Canadian Artists and was given honorary membership in the Society for all Artists (UK). This artist is profiled in Canadian Who’s Who, Who’s Who of Canadian Women, The Dictionary of International Biography, The 20th Anniversary Edition of Trivial Pursuit and 2000 Outstanding Intellectuals of the 21st Century. Her award winning paintings are in private, public, and corporate collections around the world, including The Royal Collection, Windsor Castle, and the private collection of HRH The Prince of Wales. Her paintings and articles have been featured in publications such as Artist’s Magazine, American Artist, Watercolor Magic, International Artist, Watermedia Focus, Palette Magazine and The Watercolour Gazette. Castle, U.K.